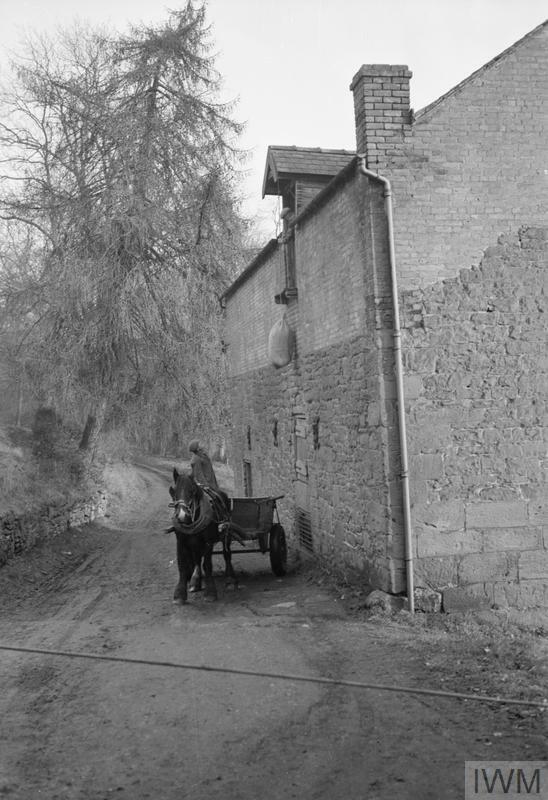 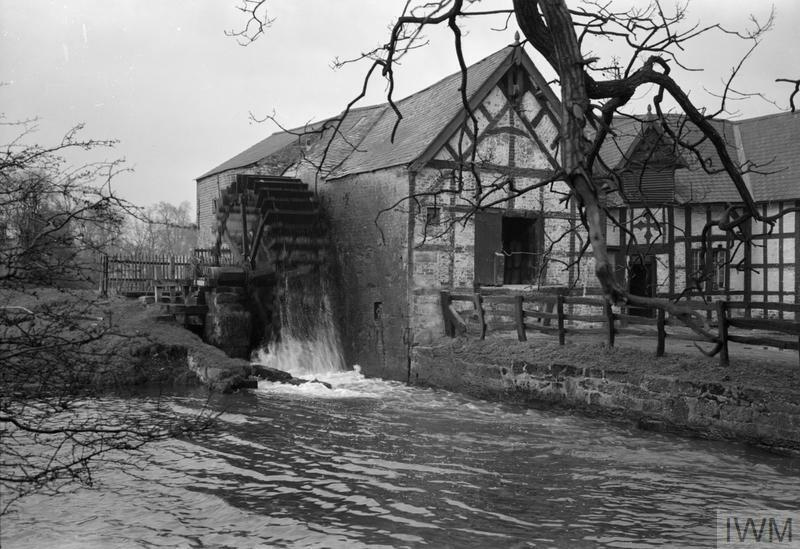 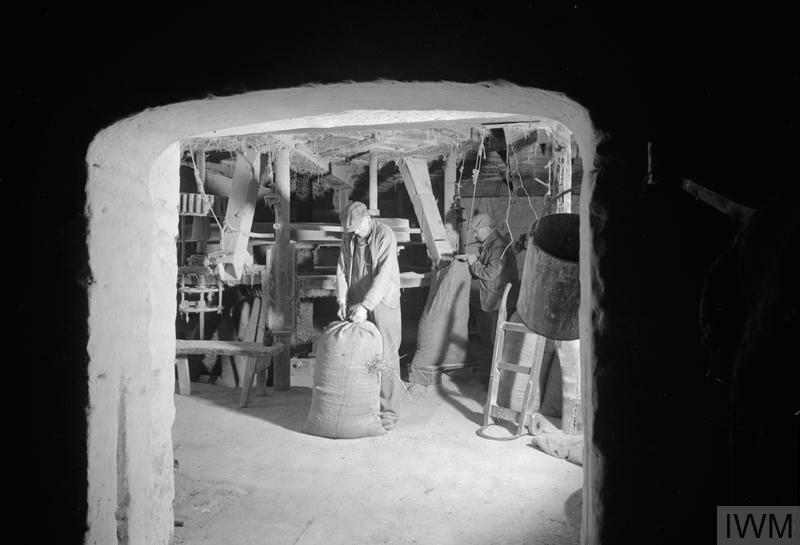 At Erbistock Mill in Denbighshire, Wales, a farmer delivers a sack of corn for grinding. The mill is designed so that the corn can be hoisted directly from the horse-drawn cart onto the milling floor. 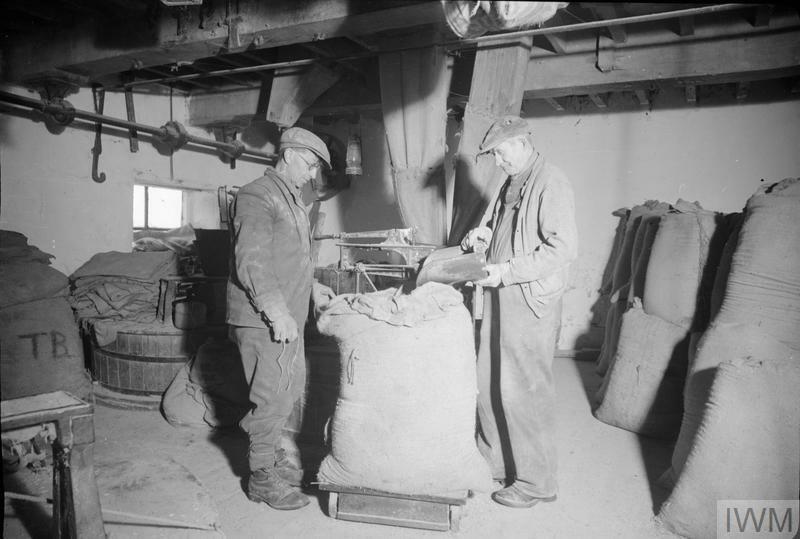 In the same way it can be lowered directly from being milled to the cart.